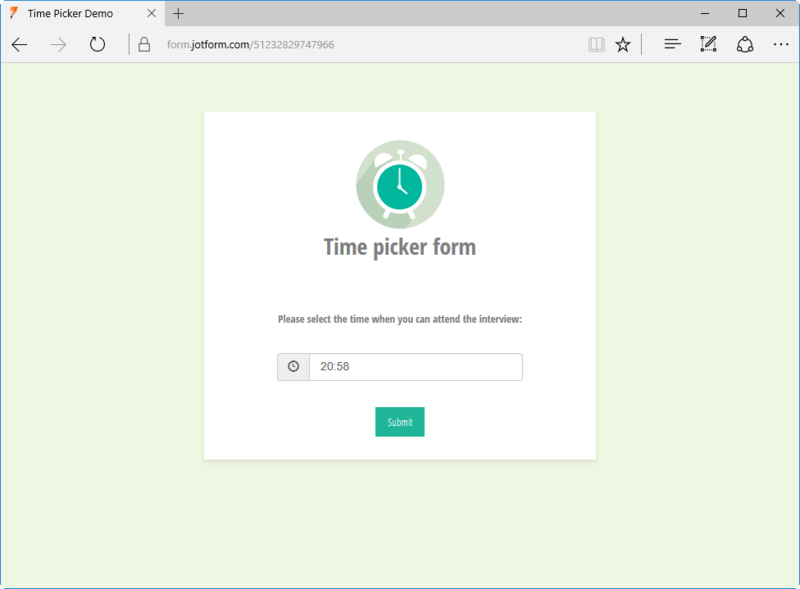 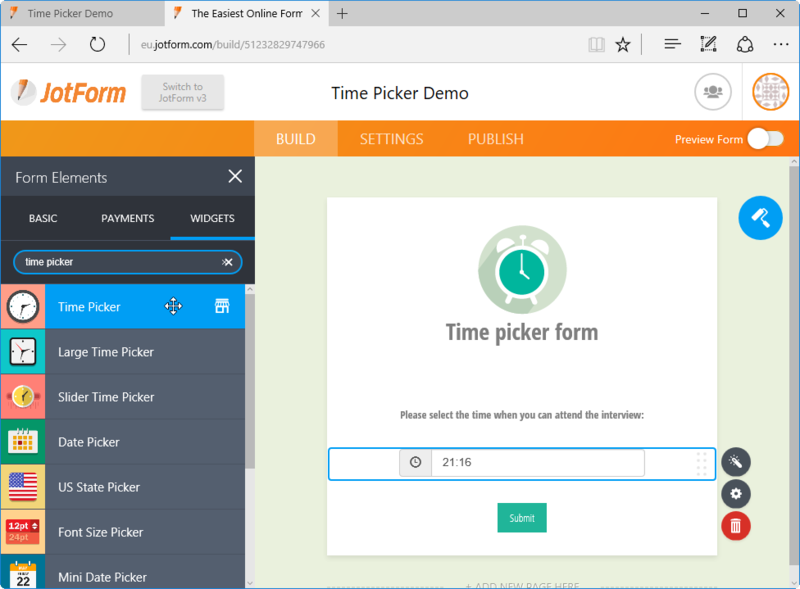 The Time Picker Widget allows your form users to accurately and quickly select the time on your form. 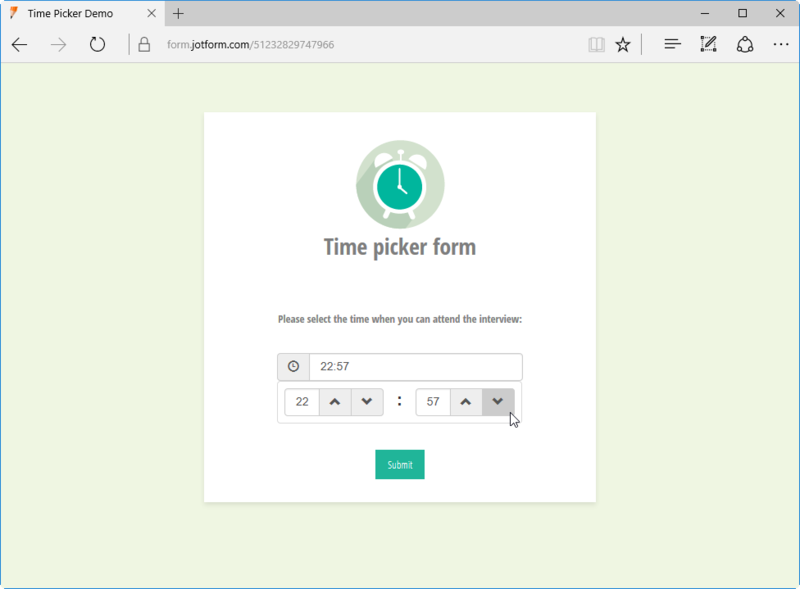 The widget tucks a time picker which populates the input box with the selected time, making your form sophisticated and efficient. The picker neatly folds away when the form user has picked the time, saving on vertical space. 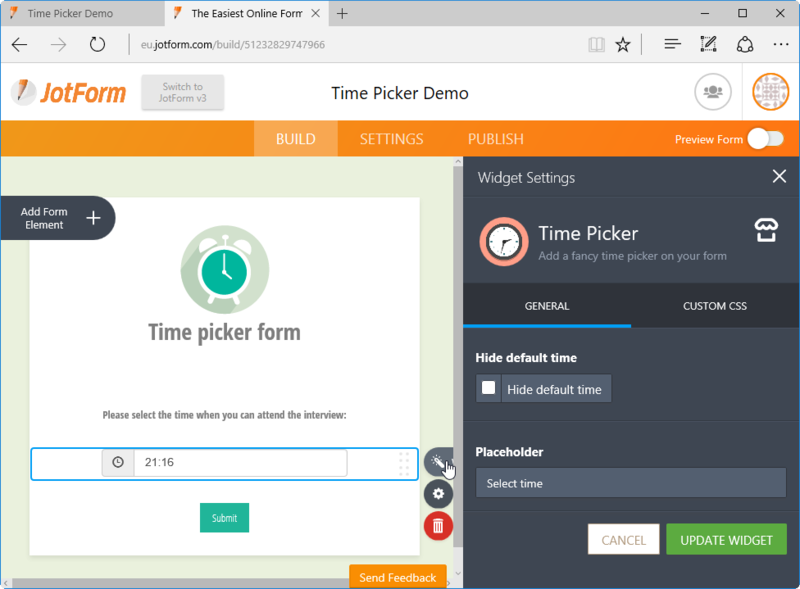 This widget requires no further configuration, and all you need to do is add it to your form to collect time values.